GraceConnect » Happy Birthday, Boss! 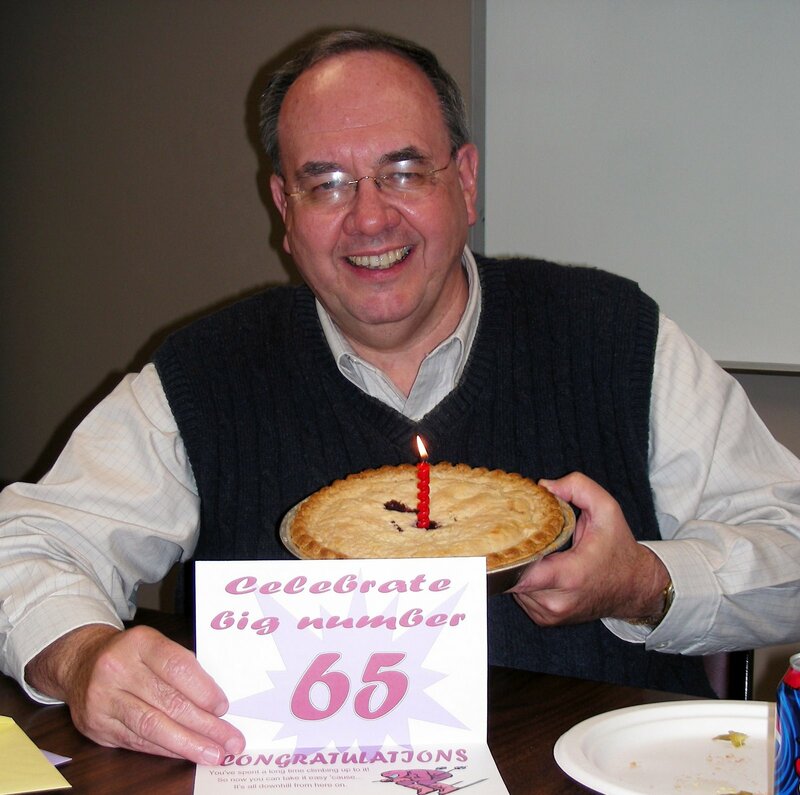 The staff at the Brethren Missionary Herald Company joined to help Executive Director Terry White (pictured above) celebrate a milestone birthday today (December 3). A pizza lunch, which was provided by BMH author Kary Oberbrunner as a thank-you to the staff, was topped off with Marie Callender’s razzleberry pie or apple pie and ice cream. Happy birthday, boss! Hope you razzle and dazzle us for many years to come! Thanks Terry for your ministry to the FGBC... Have a great birthday!